While Iron Man and Captain America’s relationship can sometimes be tense, damn those Sokovia Accords, their respective actors get on like a house on fire. 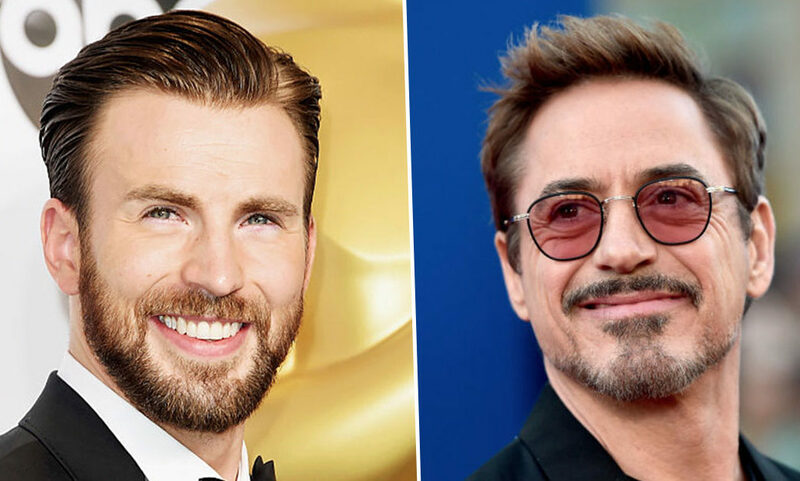 You know someone is a good friend when they know exactly how to take the mick out of you, which is exactly what Robert Downey Jr. did to Chris Evans yesterday (January 8). And unable to resist joining in with the banter, Mark Ruffalo (Bruce Banner/The Hulk) got involved too! Taking to Twitter on Monday (January 7), Evans shared his frustrations at technology echoing how we all feel when it lets us down. I know how you feel Evans, I know exactly how you feel. Witty as ever, Downey Jr. had the perfect response to Evans’ tweet playing on the fact his character Tony Stark is a tech extraordinaire while Evans’ Captain America is from the 1940s. Hey Mark Ruffalo. Looks like Cap needs a little tutoring from the science bros. Call or DM us whenever you need assistance, Chris Evans. Also language. Of course the ‘language’ joke is referring to how Cap tells Iron Man off for saying ‘sh*t’ during the opening battle scene in Avengers: Age of Ultron. Refusing to take this lying down, Evans replied to Downey Jr.’s tweet, ending it with a cry for ‘help’. I’m guessing the arc reactor doesn’t need some sort of annoying upgrade or download or new OS every 3 months. HELP ME! Cap’s got a point, the amount of iOS updates Apple gives us each year is ridiculous, but it is very endearing to Marvel fans as the actors are mirroring their on-screen characters. I would like to think at the Avengers headquarters Stark and Banner do help Cap out when he struggles with technology. After all, he has missed nearly 70 years of technological updates after updates after updates! At the end of last year, after the Avengers: Endgame trailer was released, Evans tweeted something rather cryptic which left Marvel fans excited. Now I really have no idea what to expect from the next Avengers instalment! Let’s hope it includes plenty of bro tech support. Avengers: Endgame hits cinemas on April 26.